The Carolina College for Lifelong Learning (CCLL) offers new programs each spring and fall about topics including the arts, sciences and current events. 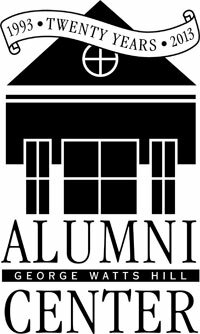 Enjoy a new semester of programs during the 20th anniversary of the George Watts Hill Alumni Center. Questions about CCLL? Please contact Maghon Walker ’08 at (919) 843-5115 or ccll@unc.edu. The GAA’s popular American Civil War Series presents a variety of Civil War classes. You may choose however many classes you’d like to attend. Each class will be held in the George Watts Hill Alumni Center’s Royall Room from 7-9 p.m. unless otherwise notated. For full bios and registration information, visit our Dinner with Faculty page. Bart Ehrman, James A. Gray Distinguished Professor of religious studies at UNC. Passport Lectures are held in the George Watts Hill Alumni Center, Royall Room from 2:30 until 4 p.m. Participants who are registered for the corresponding alumni travel program attend free of charge. Visit alumni.unc.edu/travel for more information about the alumni travel program. Friday, Apr. 5 | 6 p.m.
*price includes theater ticket and pre-show reception. Friday, May 10 | 9:30-10:30 a.m. The General Alumni Association and the Program in the Humanities continue to co-sponsor the Spotlight on Scholars and Humanities in Action lectures held at Flyleaf Books. Special discounts are offered for GAA members for both lecture series as well as for the Adventures in Ideas weekend seminars. Visit humanities.unc.edu or call 919-962-1544 for details and registration.